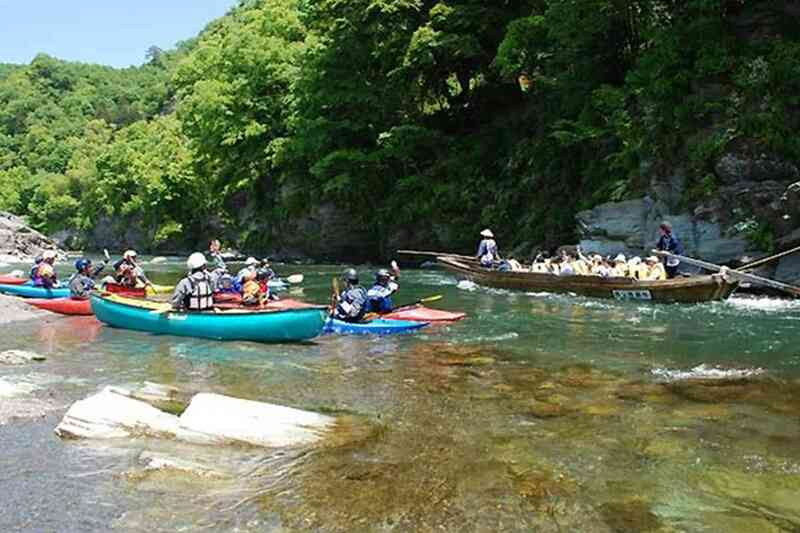 LAMP is situated right in the middle of some of the best outdoor adventure spots in Japan. Staying with us will give you easy access to the best of Nagano and Lake Nojiri so you can get outdoors and explore to your heart’s content. 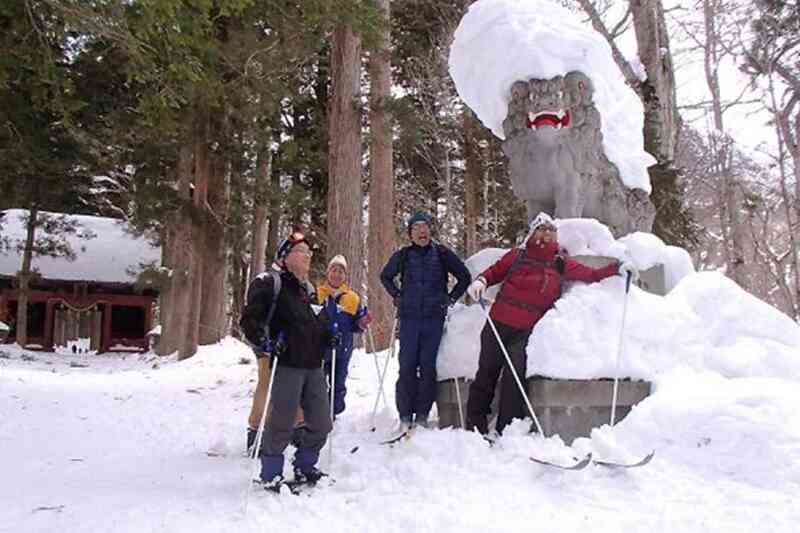 Okusha is of the five sites of the 2,000 year old Togakushi Shrine. Once you’ve passed through its ancient gates, you’ll find yourself at the start of some great trails to traverse the snowy terrain. Discover a whole new side of nature as you stride through the snow-covered trees and look out across to the rough heights of Mt. Togakushi. Come lunchtime your guide will set up a table in the snow for a hot lunch of soup and tea amongst spectacular scenery. We have a large selection of courses for beginners so that anyone can give cross-country skiing a go! Our outdoor school offers more than thirty scenic trails perfect for cross-country skiing. Your guide will advise you on the best routes for the day based on weather and trail conditions. We recommend this day course for those who want get a taste of tandem canoing. 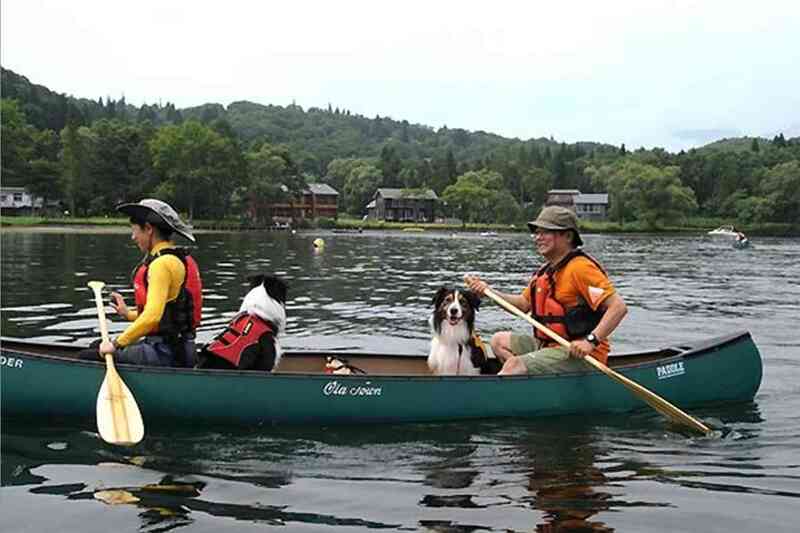 Spend the morning practicing paddling then head out to explore Lake Nojiri in the afternoon. For those of you who didn’t get out on the water enough in summer, this is your opportunity to make up for lost time in the fall. Sunday Planning has been running canoe lessons on the Nagatoro River for over 30 years, so why not come learn from some of the best instructors in the country! If you'd rather not sleep in a tent or car, we can help you book an overnight stay in a nearby cabin. Welcome to mushroom heaven! If you love mushrooms as much as we do, you’ll be as excited about this hiking tour as we are every year! 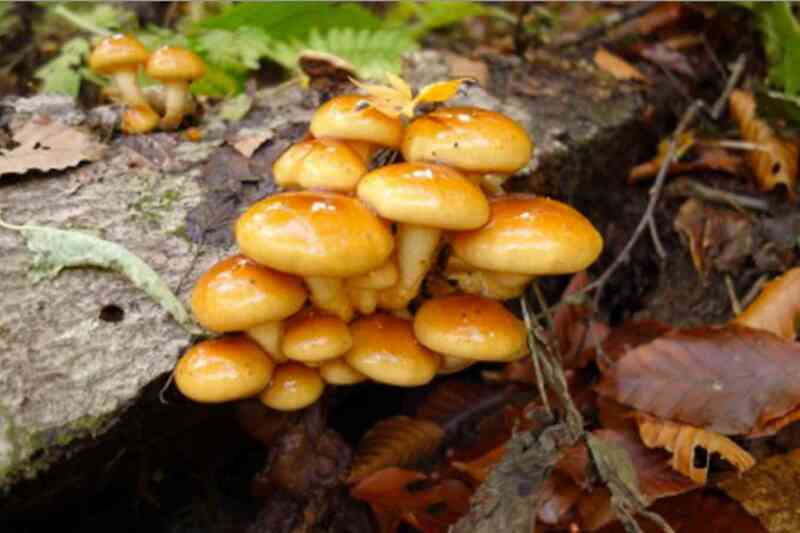 Over 6,000 varieties of mushrooms are said to grow in the mountains surrounding Lake Nojiri and when we go mushroom gathering we are looking for the 130 varieties of these that are edible. You won’t find many other places in the world with mushroom-filled mountains like ours!